Starting this WordPress blog was one of the most frightening things I have ever done. I was terrified people would mock me or judge me. Not once did I imagine the level of kindness and support I would get from people I had never met. 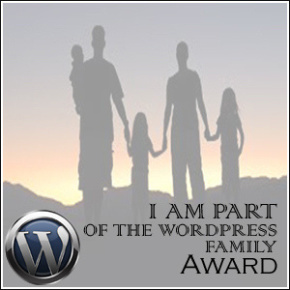 Christina is such a lovely warm-hearted spirit, and I am honoured to be part of her WordPress family! Previous Previous post: Weekly Nail (and Lip) Gasm- Think Pink!